If you have a large collection of rings, you need to carefully organize them, so you don’t lose or misplace any of the rings in your collection. 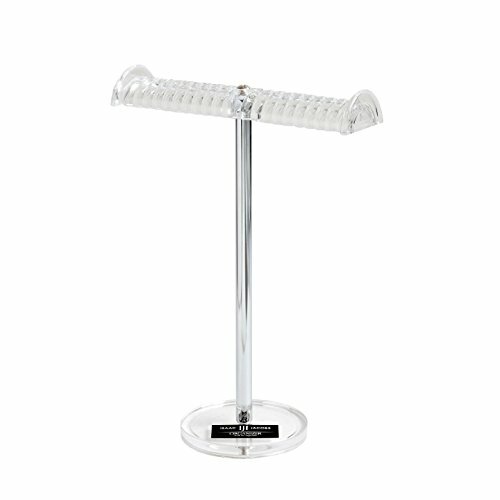 Besides, you need to have a nice display for them, to attract more customers to your store and to have a professional look in the eyes of any potential customer. 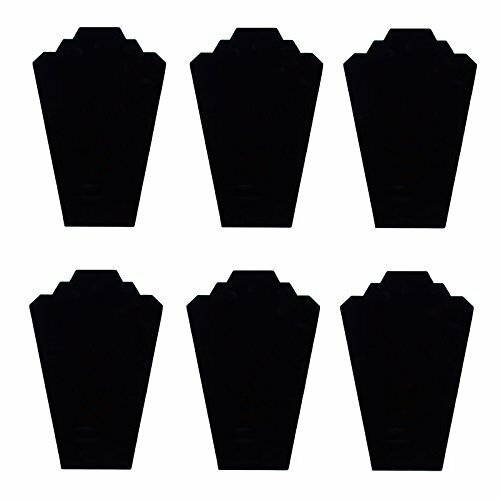 Hence, you need the pack of six Black Velvet 120 Slot Jewelry Display Insert Pad For Rings & Cufflinks. 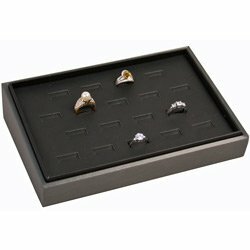 This set is functional and efficient, as it allows you to store a large collection of rings. 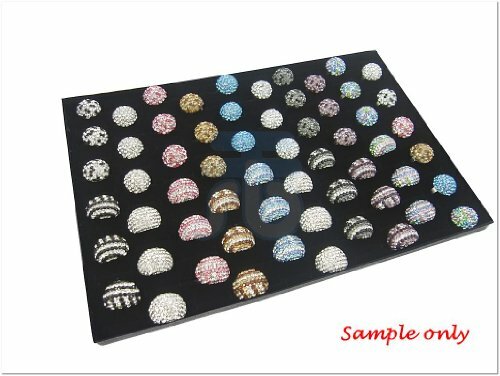 You can use these pads in your store, to create a beautiful and elegant display of your rings. 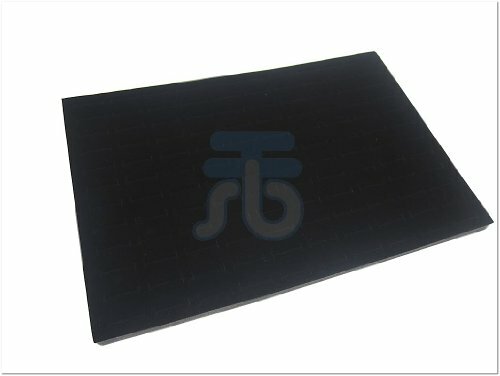 Each of the six pads in this set can accommodate up to 120 rings. A pad has twelve rows and ten columns, and it measures 33×23.5×1.5cm. 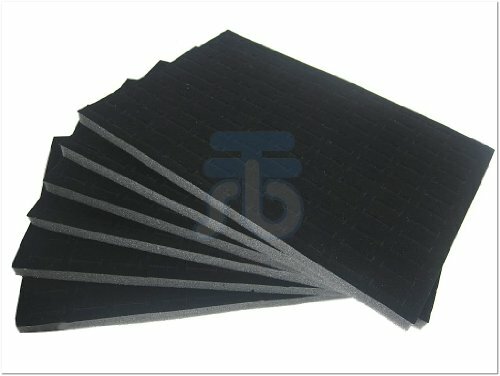 The pad is made from sponge coating with black velvet. 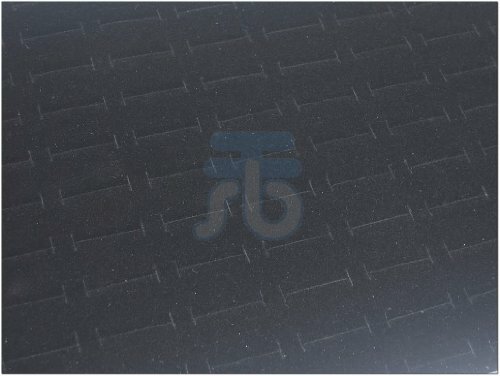 This protects your rings from scratches and other damages, and it also gives a professional and elegant look to your display. 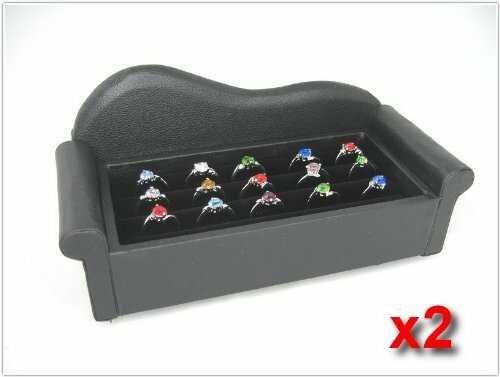 Take this set to keep your entire collection of rings organized. 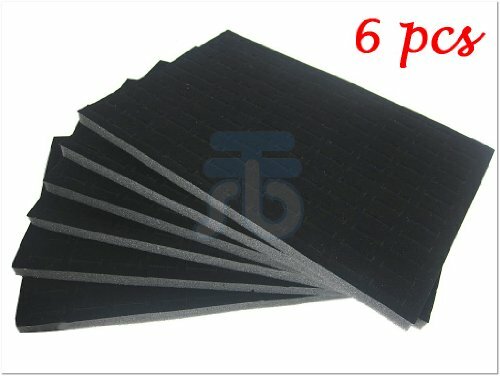 You can use the six pads in this set individually or together, to showcase your beautiful rings. 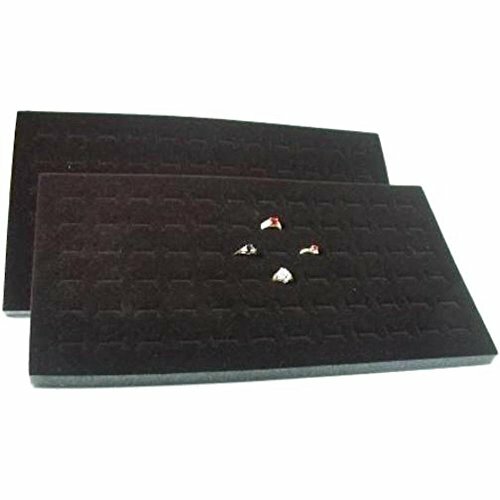 You are not required to keep your entire collection of rings in one place, but you can scatter the six pads in various locations of your jewelry store, to attract more viewers and potential customers. 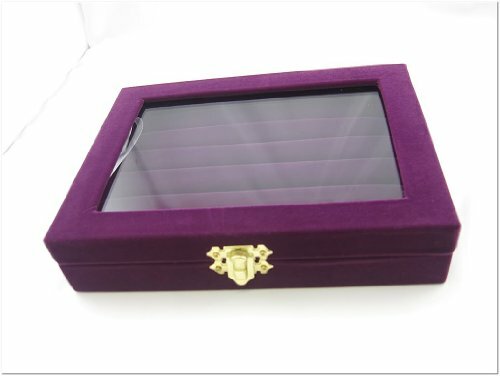 You can put these ring display pads in the storefront window, in a display case or on the shelf, to give your customers the chance to admire your beautiful rings.